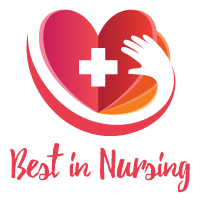 Jo Tabler of Indiana University Health has been recognized as a “Leader in Nursing” among “America’s Best Nurses” for 2017. She will be sharing her knowledge and expertise on Adult Intensive Care, Adult Critical Care, Emergency Care, Ground and Air Medical Transportation. 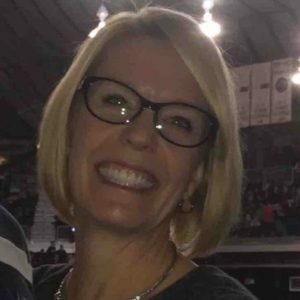 With over twenty-seven years of experience in the nursing field, Ms. Tabler offers insight in her role as the Adult ICU/ PCU Clinical Nurse Specialist at Indiana University Health. Established in 1997, Indiana University Health is a leader in health care quality, medical innovation and patient satisfaction due to a strong partnership with the Indiana University School of Medicine. As an Adult ICU/ PCU Clinical Nurse Specialist at Indiana University Health, Ms. Tabler’s day-to-day responsibilities include rounds in the Intensive Care Unit and Progressive Care, working with the staff, and answering questions from patients, the staff, and families. Ms. Tabler earned her Master of Science in Nursing (Adult/Gero CNS) (2016) and Bachelor of Science in Nursing (1989) from the Indiana University–Purdue University Indianapolis. Ms. Tabler maintains affiliations with the following organizations: Emergency Nurses Association, American Association of Critical-Care Nurses, National Association of Clinical Nurse Specialists, and Central Indiana Organization of Clinical Nurse Specialists. Ms. Tabler’s desire to become a nurse began at a young age. She attributes her success to being passionate about being a nurse, and contributes her success to having great parents who have supported her throughout her career and gave her a solid foundation. Due to her commitment to the field of Nursing, Ms. Tabler is honored to have been a recipient of the 2015 Emergency Nurses Association Award. She is proud to have received her CEN and CFRN Certifications. In her free time, she enjoys traveling, running, and spending time with her family. Ms. Tabler volunteers with the Horizon House, The Blind Pig, and Make Good Decisions. Looking ahead, Ms. Tabler hopes to progress in her current role and grow in the Nursing field.